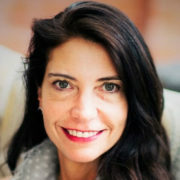 Julie is Co-Founder and General Partner at Fyrfly Venture Partners and has spent over 20 years in the venture business as investor and operator. Julie has a strong background in investments in SaaS, internet infrastructure and digital media. Prior to FYRFLY, she was the founder of Allegro Venture Partners, also a seed stage investment fund. Portfolio companies include Sparta Science, Tango Card, OrderGroove, TRACE, Bazaarvoice, Mobi, Superphone and Beekeeper. Julie is the Founder and Chair of the V Foundation Wine Celebration. Julie also serves on the national board of the V Foundation for Cancer Research, an organization that was started by Jim Valvano and ESPN in 1993. Susan Braun is a businesswoman, a strategist, a health educator, and a passionate advocate for people with cancer. She has spent more than 20 years working side-by-side with amazing people, driving toward ways to diminish suffering caused by cancer and other conditions – at the individual and the global level. Ms. Braun is currently the Chief Executive Officer of the V Foundation for Cancer Research. In the past she has served as the Executive Director of Commonweal; the Executive Director of The ASCO (American Society of Clinical Oncology) Cancer Foundation; CEO of the CURE Media Group, publisher of CURE Magazine; the President and CEO of the Susan G. Komen Breast Cancer Foundation; in various positions within the Oncology/Immunology Division at Bristol-Myers Squibb; and as an executive with the health care consulting firm Pracon Incorporated and the Center for Economic Studies in Medicine. 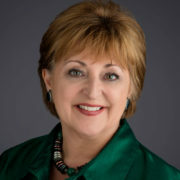 Among her appointments and responsibilities, Ms. Braun has served on boards and/or committees for several organizations, including: National Cancer Institute, American Society for Breast Disease (ASBD), World Society of Breast Health, California Breast Cancer Research Program, the Barbara Smith Fund, Americorps NCCC, National Dialog on Cancer, Intercultural Cancer Council, the ASCEND Foundation and Smith Center for Healing and the Arts. Ms. Braun received a bachelor’s degree in English and sociology from George Mason University and a master’s degree in health science education from the University of Maryland. She also completed an academic graduate program (master’s equivalent) in international business and marketing at the University of Muenster in Muenster, Germany. 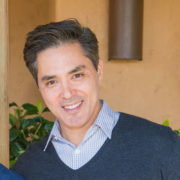 Dr. Anthony Borquez is the Founder and CEO of Grab, a digital entertainment founded in 2010. Grab specializes in building virtual reality experiences, in addition to their background with mobile apps and games. In 2013, Anthony spun out a new company: Flightly, a cutting edge mobile analytics platform. Flightly recently established a partnership with Twitter to help companies effectively run mobile marketing campaigns on the Twitter platform. Prior to Grab, Anthony was Founder/CEO of Blue Label Interactive, a mobile game company acquired by Konami in 2006. At Konami, Anthony served as Vice President of Konami Digital Entertainment and was responsible for the online and mobile business. Before starting Blue Label, Anthony co-founded Spacient Technologies, an enterprise mobile software company that was acquired by Trimble an industry leader in mobile GPS technology. Dr. Borquez has been teaching at the University of Southern California since 1994. He currently teaches Technology Entrepreneurship in the Marshall School of Business and Video Game Production in the Viterbi School of Engineering. Anthony received his BS, MS, MA, and Doctoral degrees all from the University of Southern California. Mike is a technology investor and consultant. 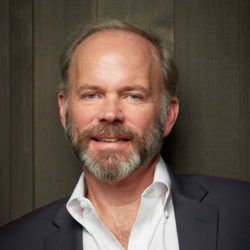 Mike’s career spanned multiple decades in the computer and communications industries in Silicon Valley. Early in his career, he held executive positions at Tymshare and ROLM Corporation, as well as being a founder and senior vice president of marketing and sales at SynOptics Communications (Bay Networks). These entrepreneurial positions were followed by many years in venture capital. Mike has been a member of the Wine Celebration Board for sixteen years, and is driven to help find cures for cancer, because of his personal experiences with several cancer victims in his own family. 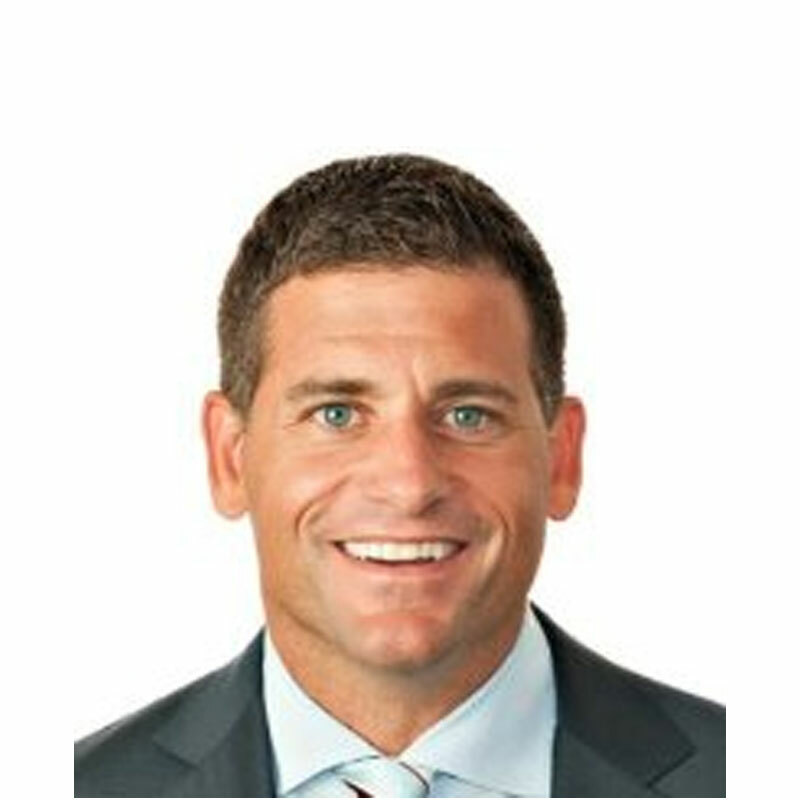 Mark Colella is a Partner at Stamos Capital, where he also leads the day-to-day operations of investment team. Previously, Mr. Colella was a Principal at 5AM Ventures, where he was an investor, Board Member, and adviser to a number of start-up, venture-backed companies. Prior to that, he held executive and management roles at BÂRRX Medical, Stryker Corporation, and Primrose Alzheimer’s Living. Mr. Colella received a BS in Biology from Williams College and an MBA from Northwestern University, the Kellogg School of Management. Prior to Williams College, he spent two years at the United States Air Force Academy. Amy is President and Proprietor of Gemstone Vineyard in Yountville, Napa. She oversees all operations, marketing and sales and works closely with the team to ensure the continued excellence of their Cabernet Sauvignon and Bordeaux style wines. Prior to running the family owned wine business, Amy founded and operated a boutique catering business in New York City, which serviced the wedding, corporate and special event market through their onsite banquet hall and specialty prepared foods market. She also spends her time investing and consulting for seed-stage start ups in the CPG, food and beverage space, currently sitting on the boards of Dinner Lab, Inc, Halo Blow Dry Bars, Inc and Brooklyn Brine. Amy brings her experience in creative development, program management, hospitality, food and wine and event production to the board of the Wine Celebration. Amy, alongside the rest of her family, has a long standing relationship of philanthropy with the V Foundation since the wine event’s inception, and is committed to its enduring success in seeking a cure for cancer. 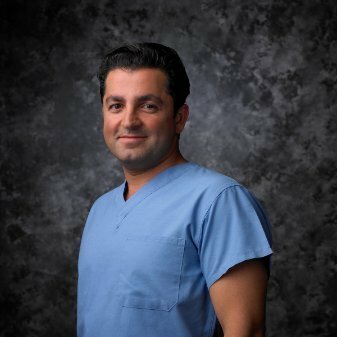 Shahram Shawn Gholami, MD, is an internationally-recognized expert in the field of minimally-invasive laparoscopic and robotic surgery. He is one of the few physicians in the United States skilled in minimally-invasive procedures that include scar-less techniques, lasers and laparoscopy, providing patients options for the treatment of urologic disease. He has conducted thousands of laparoscopic and-or robotic surgeries since 2000. His success and vast experience performing laparoscopic prostatectomies rank him in the upper 2% of all practicing urologists. This work has placed Dr. Gholami on an international platform as a globally respected clinical researcher. Dr. Gholami completed his Urologic Laparoscopic Oncology Fellowship training at the University of Paris, Institut Mutualiste Montsouris and his surgical and urology training at University of California, San Francisco. Dr. Gholami currently serves in a variety of local, national and international capacities, including: Director of Urology, Good Samaritan Hospital (San Jose, CA); Director of Men’s Health, American Medical Center (Shanghai, China); Urology Expert Reviewer, Medical Board of California; Quality Care Committee Member, Cooperative of American Physicians Insurance Group; Founder and Partner of Boss Surgical Group; Founder of Boston Global Medical Investments (BGMI),( a company focused on the transfer of clinical systems, medical protocols, science, technology, and third party payer relationships to Asia from the United States); co-Founder of Champion Health Enterprises,LLC ( a company focused on the creation of novel health ecosystems for Native American tribes and business entities); Managing Partner of Bay Area Surgery Center; Founder, Board Member and Partner in Urologic Surgeons of Associates of Northern California (USNC), and Partner in Urology Associates of Silicon Valley (UASV). Doctor Gholami serves on a variety of boards for medical device companies, internet start-up companies, and medical universities including: VMDoc (MDKinect, Inc a internet medical IT company- Chairman Board and co-Founder), Puracath, Inc (novel catheter purification device. Medical Board), Stryker Endoscopy (Medical Board), Neotract Corporation (Medical Board), EM Kinetics (Medical Board) and 5AM Venture Company (Medical Consultant), Boston University School of Medicine (Dean’s Advisory Board), and Fourandhalf, Inc ( Internet real estate management company). Previously, Dr. Gholami served on the Clinical Faculty of the University of California, San Francisco; as the Vice Chairman of the Department of Surgery at Good Samaritan Hospital (San Jose); as Vice President of Urological Surgeons of Northern California (founding Board Member and Partner); as owner of Alvarado Hospital Medical Center (San Diego, CA); Director of Robotic Surgery, Good Samaritan Hospital (San Jose, CA); and as the Vice Chair of the Department of Surgery at Community Hospital (Los Gatos, CA). Recognition for the work of Dr. Gholami has been manifold. He has been voted Top Doctor by Forbes Magazine, U.S. News and World Report, Silicon Valley Magazine, San Francisco Magazine and the San Jose Business Journal; he is a recipient of Men’s Health Network Research Award and the Golden Glove Award from the European School of Surgery; Dr. Gholami is an Endoscopy Scholar from both Ethicon Endosurgery and Stryker Endoscopy; He has received the Research Award from the California Urology Foundation; He is a First Prize winner in the Northern California Urology Resident Research Award; he has received scholarships from the American Heart Association, the Junior Diabetes Foundation, the Howard Hughes Medical Institute, and Bank of America Scholarship Award; and he is a two time recipient of the American College of Physicians Medical Student Research Award. Dr. Gholami’s professional memberships and affiliations include: Fellow of the American College of Surgeons; Society of Laparoscopic and Robotic Surgery; International Sexual Medicine Society; Men’s Health Network Board of Advisors; American Urological Associates; Northern California Urological Society; San Jose Surgical Society; American Association of Clinical Urologists; American Medical Association; American College of Physicians; Santa Clara Medical Society; Urology Journal Editorial Board; The Golden Glove Society-European School of Surgery; and the Endourological Society. Dr. Gholami earned his Doctor of Medicine designation at the Boston University School of Medicine and his Bachelor of Science at Cornell University where he also was a wide receiver on the Cornell intercollegiate football team. His Urological and Surgical residencies took place at the University of California, San Francisco. Dr. Gholami lives and works in Los Gatos, California. J David Harden has been mixing right-brain/left-brain work in technology and entertainment for more than 25 years. He has developed scripted television series in Hollywood and Asia. Harden wrote on staff for Numb3rs on CBS and ran the room for HBO Asia’s Grace. He is currently a Partner at PLC Venture Capital and serves on the boards of Superleague Gaming (eSports) and We Are The Mighty (digital media). He was the Ahmanson Fellow for Renaissance History while a Ph.D. candidate at UCLA and earned B.A. with honors from Stanford. Christian Hoff is best known for his Tony Award-winning performance in Broadway’s Jersey Boys with two Grammy-award winning original cast albums for Jersey Boys and The Who’s Tommy. He has toured internationally as a founding member of Broadway vocal group The Midtown Men & Christian Hoff Band. Christian’s unique resume is highlighted with starring in Hanna-Barbera’s Richie Rich Cartoon Show, the first actor to portray Walt Disney in film for One Man’s Dream and surpassing the Guinness World Record for number of voices in an audiobook, for which he was dubbed the “Master of Mimicry” by Entertainment Weekly. 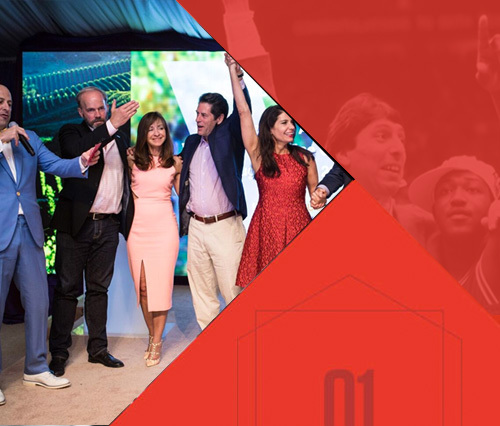 His work as creative consultant, spokesman, entertainer, producer and investor takes him across North America, Asia and Europe. You may recognize him from Law & Order SVU and Criminal Intent, SiriusXM radio’s ‘60s and Broadway channels or as the voice of American Express and Bank of America. Christian’s palate has led him to the vineyard as a grower specializing in the Grenache varietal and as ambassador for the revival of North County, San Diego winemaking with partner, Jack Simon Vineyards. He produces an annual Tony Awards Party in New York City benefitting The V Foundation and lends his talents teaching his own master class, executive essence workshops, hosting galas, fundraisers and entertainment events across the country. 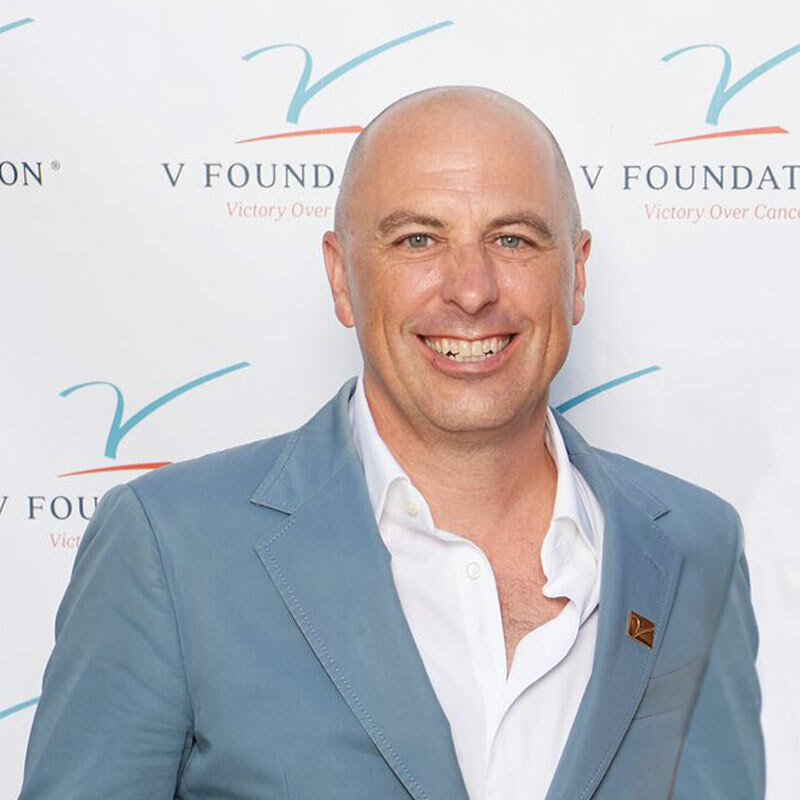 Strengthened through his own family’s cancer battle, he proudly serves on the board The V Foundation Wine Celebration in Napa Valley, raising funds to expedite an end to cancer. F rank X. Lonergan has over twenty years experience working in diverse, global industries from entertainment to technology to food and beverage. After graduating from Saint Mary’s College of California (1991), Mr. Lonergan spent four-years in the television and motion picture industry serving as a producer at CN Studios, headquartered in Charlotte, North Carolina. In 1995, Mr. Lonergan joined NanYa Pacific, Inc., an international trade agent for the Formosa Group of Taiwan serving as VP of Sales, President and then President and CEO. Prior to joining 10 Chancery Lane Gallery, Mr. Lonergan served as Founder and Managing Partner of Woodside Wine and Spirits Limited, a Hong Kong based multinational distributor of fine wines and distilled spirits. Ryan McDonough was most recently the CFO/co-founder of Accompany, a relationship intelligence platform acquired by Cisco in May 2018 for $270M. Accompany creates AI-driven products for finding new prospects and strengthening your relationships, built on the largest database of decision makers in the world. He was previously CFO at Ning, where he shepherded the business from a freemium model to focusing exclusively on its subscription business, increasing the paid user base by 5X. The turnaround resulted in Ning’s acquisition by Mode Media. Prior to that, he was a partner at early stage fund Constantin Ventures and an engagement manager at McKinsey. He holds an MBA from Wharton and BS from Berkeley. Originally signed to the Tampa Bay Buccaneers as an undrafted free agent in 2002, Ryan Nece was a part of the Buccaneers team that went on to win a World Championship that season in Super Bowl XXXVII. Ryan spent a total of seven years in the NFL as a linebacker and special teams standout for the Buccaneers and, in his final year, the Detroit Lions. During his time in the NFL, Ryan consistently stepped up as a leader. He established himself as a team captain in Tampa where he set an example for his teammates to follow with his work ethic both on the field and in the community. For seven years, Nece’s primary focus was football, which provided him with a platform to impact others and opened doors to new and exciting opportunities. In addition to his work on the football field and in the community, Ryan has spent the last several years honing his business acumen. Following his career in the NFL, Ryan started several new career ventures to channel his focus and energy toward areas off the playing field. Ryan, along with former teammate Jeb Terry, created an exciting communications platform company called StraightCast. This platform improves the way people generate, distribute and consume mobile video. The goal of StraightCast is to revolutionize the way content providers connect and engage with their followers through authentic content. Ryan also has experience as a media personality, as he reported weekly from the sidelines during the 2010 UFL season on behalf of the Versus Network. Ryan then worked part-time for Brighthouse Sports Network as a football analyst, as well as host of the pre- and post-game shows on the Buccaneers Radio Network, US 103.5. 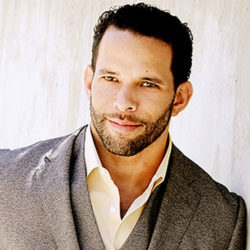 Currently, Ryan works with FOX Sports 1 as an on-air analyst and sideline reporter. Ryan’s football and business endeavors have certainly played a major role in developing who he is as a person, but he believes his reason for waking up every day is to make a positive impact in someone else’s life. Ryan founded the Ryan Nece Foundation in 2006 in an effort to increase his extensive community service efforts in the Tampa Bay area. The mission of the Ryan Nece Foundation is to be a beacon to teens by empowering them to impact giving in their communities. The foundation’s vision is to create opportunities for teens to embrace the Power of Giving through service projects, inspirational programs, and volunteerism. Ryan’s goal through the foundation is to help mentor the next generation of servant leaders who will become the philanthropists, volunteers, and nonprofit organization leaders of tomorrow. 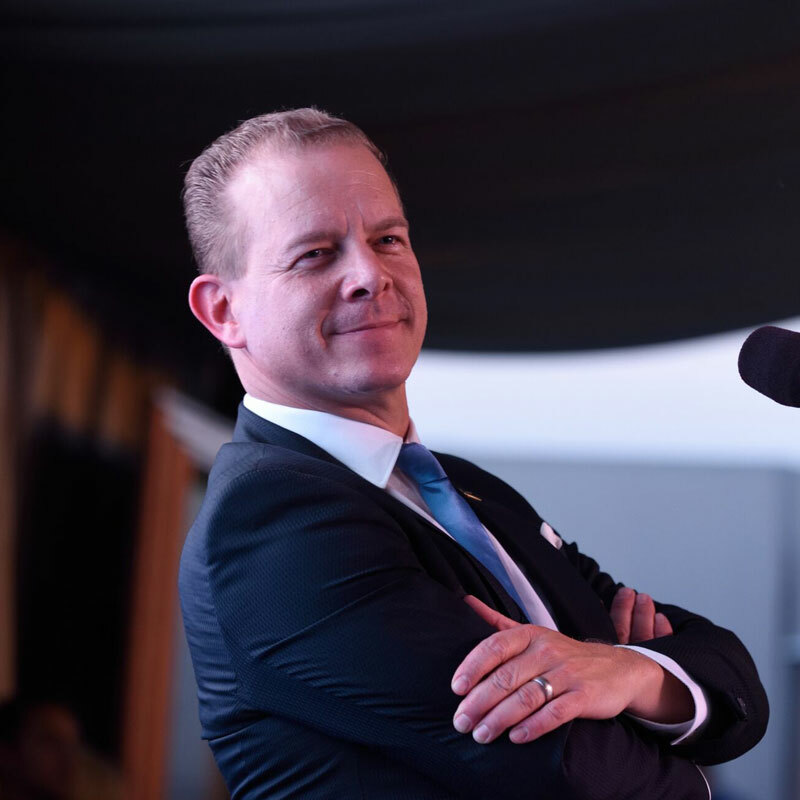 Derek Reisinger is an Executive Director of Human Resources Service Center/Operations at Cedars-Sinai, where he is responsible for the strategy and implementation of system-wide HR operational and service support. His recent accomplishment in leading the design, build and implementation of an HR Service Center and new employee-facing/self-service technologies is the cornerstone of Cedars-Sinai’s enterprise-wide operational efficiency and enhanced services initiatives, ensuring that Cedars-Sinai remains a world-class health organization in a rapidly changing healthcare environment. Reporting to the SVP of HR/CHRO, Derek serves as a trusted advisor to colleagues on the HR leadership team and Cedars-Sinai line of business leads, ensuring that policies, programs and processes closely align with Cedars-Sinai’s mission, vision and goals. Cedars-Sinai is one of the largest nonprofit academic medical centers in the United States with 15,000 employees, including 2,100 physicians, 2,800 nurses and thousands of other healthcare professionals and staff. Cedars-Sinai has consistently been named one of America’s Best Hospitals by U.S. News & World Report (#8 on the most recent report distributed in August 2018). Derek joined Cedars-Sinai in September 2017 after serving almost ten years as an HR leader at Warner Bros. Entertainment. At Warner Bros. he was an Executive Director of HR/Employee Services for over seven years and a Director in Corporate HR/Employee Relations for two years. While at Warner Bros. he led major enterprise-wide service initiatives, including employee service support for the implementation of Workday, outsourcing Leave Administration and employee Onboarding. Strategic oversight included Contact Center, Leave and Benefits Administration, Onboarding, Immigration and Relocation Administration teams. Prior to Warner Bros. Entertainment, Mr. Reisinger held key service and operational leadership roles at Safeco Insurance and Nordstrom, Inc. In addition to his Bachelor’s in International Business. Mr. Reisinger possesses a professional Alternative Dispute Resolution certification from Pepperdine School of Law, Straus Institute, Professional Human Resources (PHR) from SHRM/HR Certification Institute and an International Ombuds Association Certification. 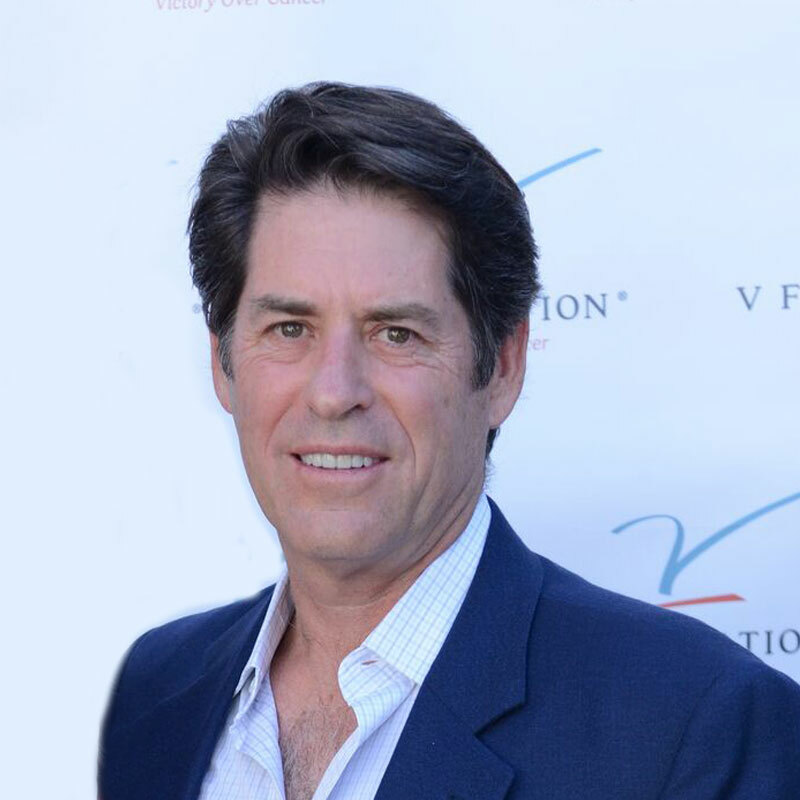 Derek proudly serves as a board member of the V Foundation Wine Celebration and has been a volunteer leader for the foundation for over 20 years. He primarily grew up in the Bay Area but has lived in Los Angeles with his family for over 16 years. 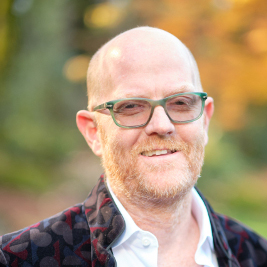 Based in San Francisco, John is a Managing Director at DCS Advisory, focused on the following sectors: Software and Security; E-Commerce/Marketplace technology, Financial Technology, Travel, Real Estate and Hospitality sectors. For over 20 plus years, John has acted as lead banker in M&A Advisory, Debt and Equity Financings, Restructuring Services for hundreds of Technology, Media, Telecom and Healthcare companies. Prior to joining DCS Advisory, he was a Founder at Montgomery & Co., Managing Director at J.P. Morgan, and Partner with Hambrecht and Quist. 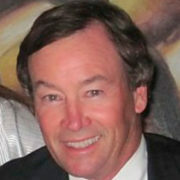 John received a degree in Biomedical Engineering from the University of Southern California and served in the U.S. Navy. He serves on the boards of the Biomedical Engineering Department at the University of Southern California, The V Foundation Wine Board, and on the advisory board for the Injured Marine Semper Fi fund. Marc Rollins is Executive Director with the J.P. Morgan Private Bank in San Francisco. Marc is responsible for delivering the firm’s wealth management capabilities and resources to clients in Northern California. His team focuses on education and organization, utilizing solutions across both sides of the balance sheet including banking and lending services, investment management, and trust and estate planning. 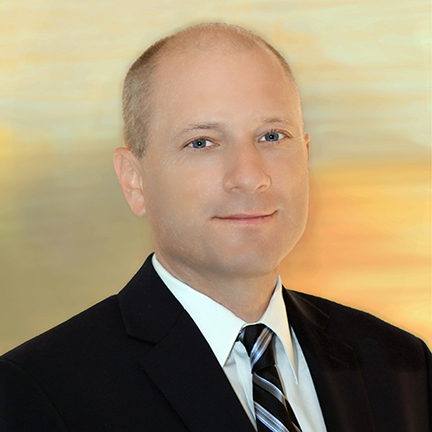 Prior to joining the San Francisco team in 2014, Marc worked in the Private Bank’s Financial Principals group in New York City where he focused on advising financial professionals including hedge fund, private equity and venture capital partners. His investment experience includes managing multi-asset class portfolios including traditional and alternative assets. Marc began his career working in institutional equity derivatives at Bank of America Merrill Lynch in New York. Marc graduated with honors from Claremont McKenna College, where he received a B.A. in Economics and was the starting shortstop on the baseball team. 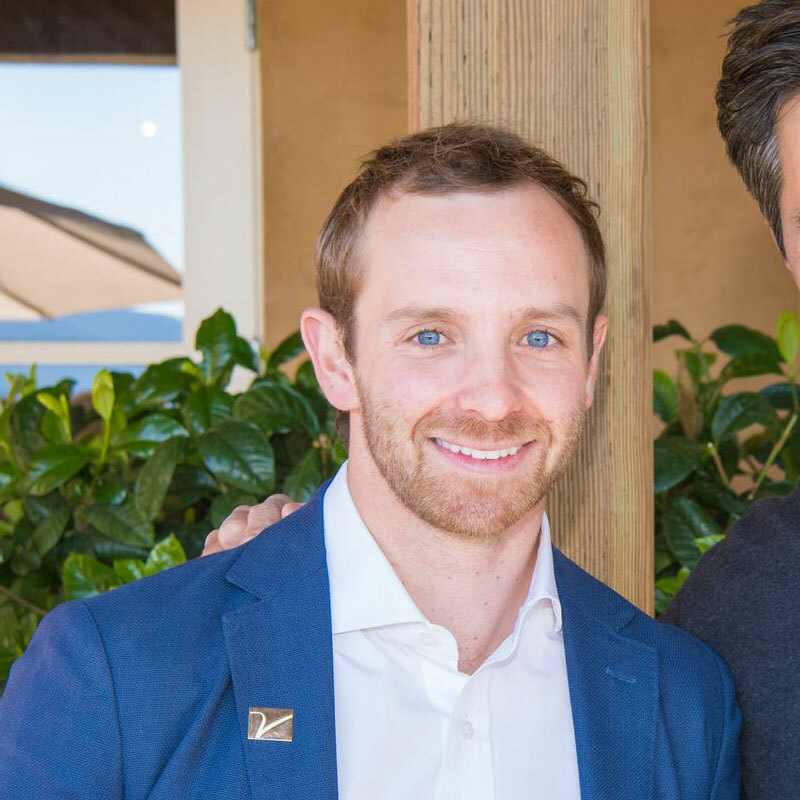 A cancer survivor, Marc is actively involved in raising money for research and is also a Fellow with the Kravis Leadership Institute at Claremont McKenna College. Connie chairs the Audit and sits on the Governance Committees of Comfort Systems USA (NYSE: FIX) and Sensata Technologies (NYSE: ST) and previously ShoreTel (NASDAQ: SHOR), where she chaired the Audit Committee. She was recently on the boards of Cyrcadia Health (embedded medical devices), BayCare Health Systems, and IVIS Technologies. Six years ago, she joined the Board of the V Foundation for Cancer Research and serves on its Executive Committee. Connie served on the 18-member elected Board of U.S. Partners and Principals for PricewaterhouseCoopers, PwC, ($7B in revenues) for a four-year term prior to her formal retirement. Concurrently, Connie was the U.S.Tax Strategy Leader for the Firm and on the seven-member leadership team. She was responsible for short term and long term strategies as well as input for overall operations for this $2B business. Earlier in her PwC career, she was West Region Tax Managing Partner where she was the equivalent of CEO for the $300M unit, managing the coordination of all tax compliance and consulting advice provided by the Firm for clients throughout the West. 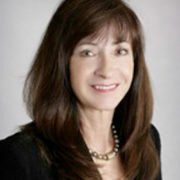 Connie has over 30 years experience and has worked with a variety of public and privately held companies advising on financial strategies, global corporate structuring, due diligence projects, employee benefit plans, corporate mergers and acquisitions, stock options, and executive compensation programs. She served as the primary tax advisor on numerous initial public offerings and other SEC filings. During her years as an advisor, Connie developed deep expertise in the technology, healthcare, life sciences, manufacturing, retail, real estate, and extractive industries. She rendered financial advice to over 300 clients including Sega, Hyundai, Vulcan Capital, Frank Russell Company, Micron Technology, Sun Microsystems, and Barrick Gold Corporation. Prior to joining PricewaterhouseCoopers, Connie was a tax specialist with the Internal Revenue Service. She holds a B.A. degree from Florida State University and a M.S. degree in Taxation from Golden Gate University. In 2013 and 2016, she completed the Directors College programs at Stanford Law School. Todd founded Zapolski Real Estate, LLC (ZRE) www.zapolskire.com. As Managing Member of Zapolski Real Estate, LLC with offices in Napa, CA and Durham, NC Todd Zapolski has over thirty five years’ experience in real estate investment and development. In addition, he is Principal of Zapolski Holdings and ZRE Advisory Group. In 1998 he co-founded Zapolski + Rudd, LLC. 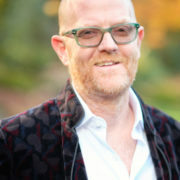 Todd served as Managing Member until the company was split among the principals in 2008. Under Z+R he built a bi coastal operation with offices in North Carolina and California with interests in a diverse portfolio of real estate located in six states with a value in excess of a half a billion dollars. From 1991 through 1998 Todd served as Executive Vice President of Durham, NC based Mark Properties, Inc. In that capacity he directed the acquisition effort for three equity funds that were successfully invested in undervalued commercial properties of primarily shopping centers located in ten states. 1982 – 1991 Todd was the owner of Consolidated Ventures Corporation that was located in Chapel Hill, NC. As President/CEO he managed the daily operation of the real estate development, brokerage, and investment company. 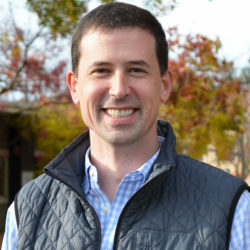 Among other interests Todd was a partner in the Girard Winery, Napa, CA, and has served in leadership capacities in many community and industry organizations. He served as Chair of the Genesis Home Family Shelter and is currently a board member of the Ole Health Foundation, V Foundation Wine Celebration, and member of the national board of Don’t Ever Give Up – a V Foundation for Cancer Research entity. Todd is a 1980 graduate of Duke University.